It’s like a scene from a science fiction movie: The doctor was several kilometers away from the patient. Using a breakthrough technology developed in Israel, he was able to perform a heart catheterization procedure using a robot. The procedure was recently carried out in India using a unique technology developed by Corindus, a company involved in cardiac navigation systems and remote-controlled heart catheterization technology. Five patients were catheterized at Apex Heart Institute in Ahmedabad, India, one after the other, while the interventionist sat in a monastery several kilometers away. Up until now, the operator, using robotic technology, would have been found just a short distance away from the patient, sitting in a control room (referred to as the cockpit) in, or right outside of, the catheterization laboratory, guiding the medical procedure from a console. The five catheterizations were performed by world-renowned cardiologist, Dr. Tejas Patel, the Director of the Interventional Cardiology Department at Apex Heart Institute, using a remote-controlled navigation system. Dr. Tejas sat facing computer screens placed in a monastery 32 kilometers away from the patients. His colleague, Dr. Senge Sha’a, stood beside the patients’ catheterization table in the hospital. 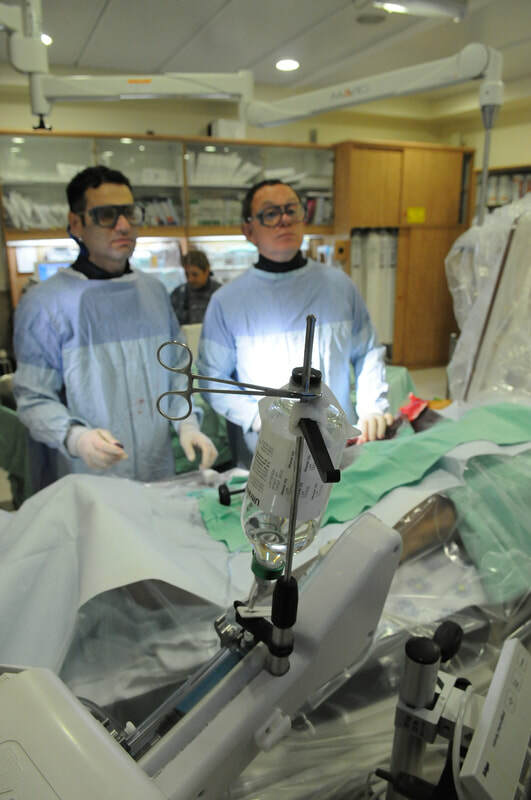 Development of the CorPath robotic-assisted intervention system for heart catheterization was initiated in 2002 by the startup NaviCath (now Corindus), founded by senior cardiologist Professor Rafael Beyar, Director and CEO of Rambam Health Care Campus with his colleague, Tal Wendrov, a Technion – Israel Institute of Technology graduate, who was the company’s vice president for marketing and business development. 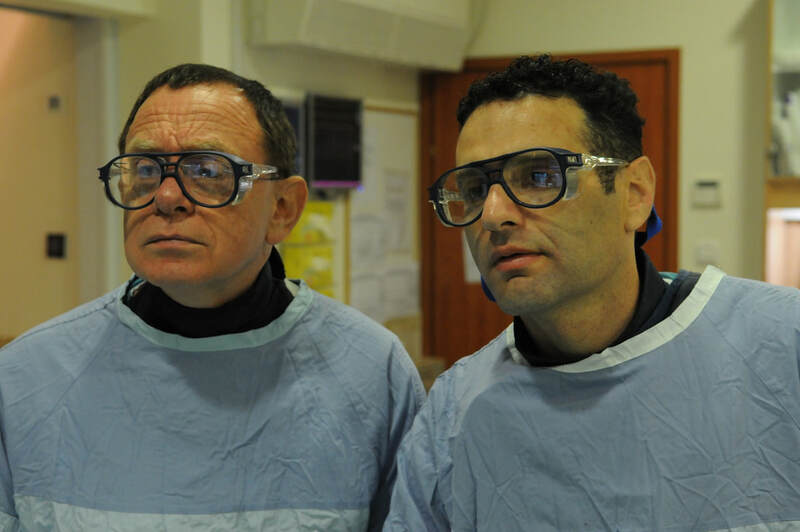 NaviCath, established at the time as a Technion incubator in a joint project with Rambam Health Care Campus, has since moved to Massachusetts. Its technology is used in over 50 medical centers worldwide. The robot, with third generation FDA clearance, was developed with the aim of enhancing the degree of precision and control from the safety of a radiation-protected interventional cockpit. Staff members who performed the historic procedures opinioned that their success had paved the way for other, similar undertakings on a larger scale throughout the world. Based on the results of catheterizations performed in India, Corindus announced that it was planning to invest in commercial development of additional applications for the telerobotic system and to adjust the existing platforms for treatment of stroke. Cardiovascular disease (CVD), including stroke, is the leading cause of death worldwide. Annually, an estimated 18 million deaths are the result of CVDs. Many of these deaths result from patients having inadequate access to doctors, as well as socio-economic influences and the waning number of specialists in the field. Once symptoms start, treatment for cardiovascular emergencies such as stroke and heart attack must be given within a very narrow window of time—between 90 minutes to 24 hours—in order to prevent death or significant paralysis. Copyright @2018 Australian Friends of Rambam Medical Center. All rights reserved.